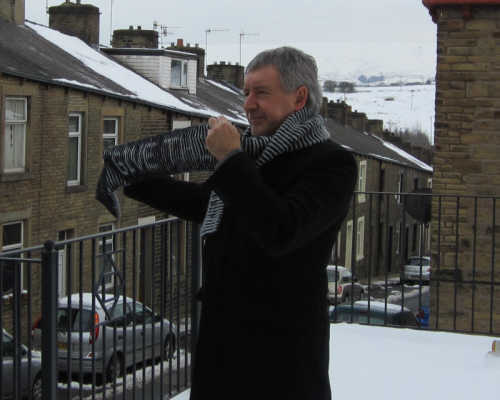 This scarf was designed to help promote awareness of the Organ Donor Register. 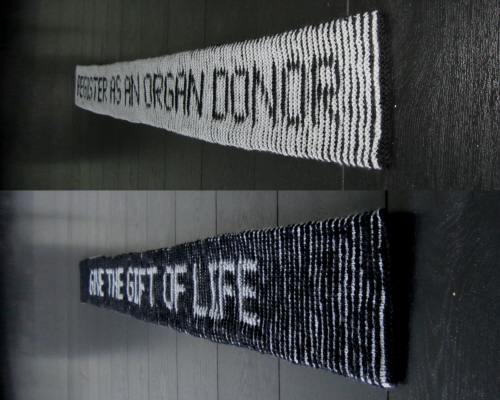 It says GIVE THE GIFT OF LIFE on one side and REGISTER AS AN ORGAN DONOR on the other. 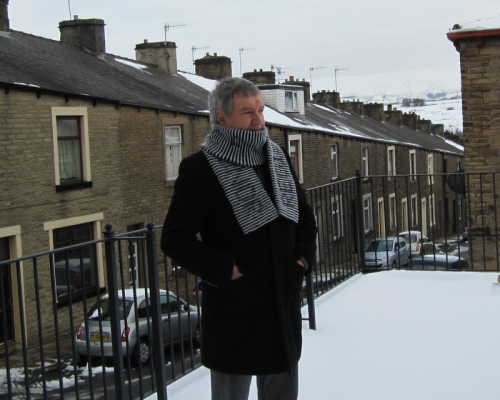 In the UK you can join the Organ Donor Register by clicking here. The photo above shows the back and front of the same scarf. 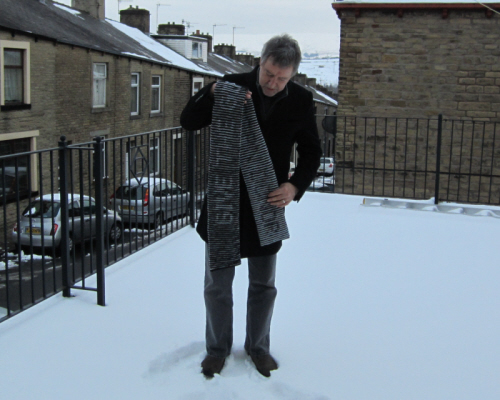 One side has grey lettering on black; the other has black lettering on grey. Any two contrasting colours can be used. 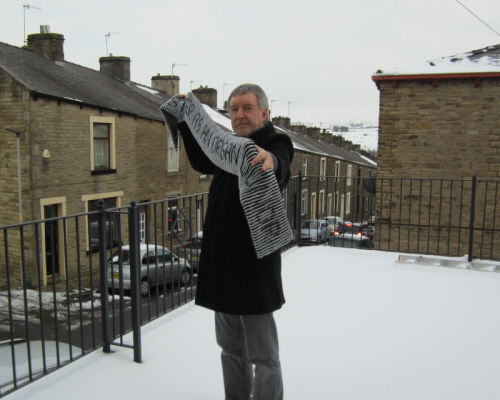 Under ideal conditions the lettering should disappear completely when you look straight at the scarf. 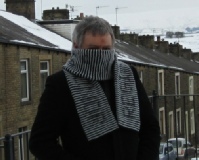 It should look as though you are wearing an ordinary striped scarf. 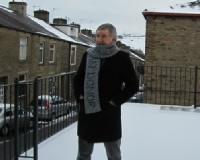 In normal wear the scarf is subtle so that you can wear it without the messages shouting out at everyone. If you hold up the scarf, or lie it flat, then look at it from an angle, the messages are very obvious. The photographs were taken in the snow and outlines of the letters can still be seen in most of the photographs, due to the light conditions. 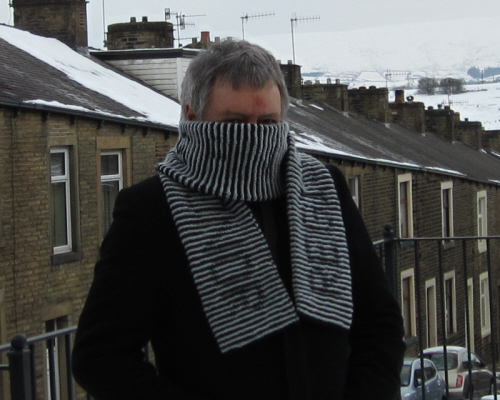 Because it is double-sided this is quite a heavy scarf. It also has to be long so that the messages can fit. 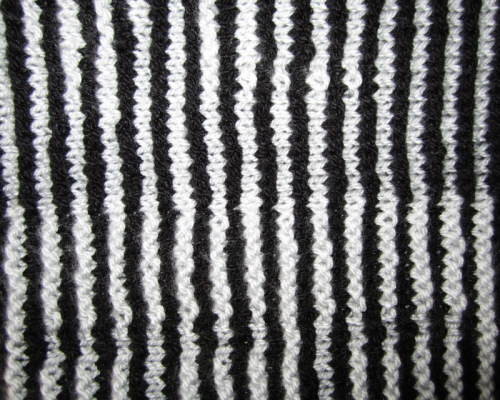 A lightweight DK yarn is recommended so that it is not too heavy. It can be made shorter by just using the shorter message. 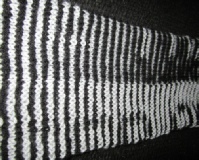 The pattern includes instructions for making a single-sided scarf and for adapting it to be a banner with either one or two messages. 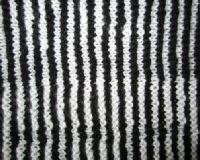 The double-sided scarf is worked in the round. 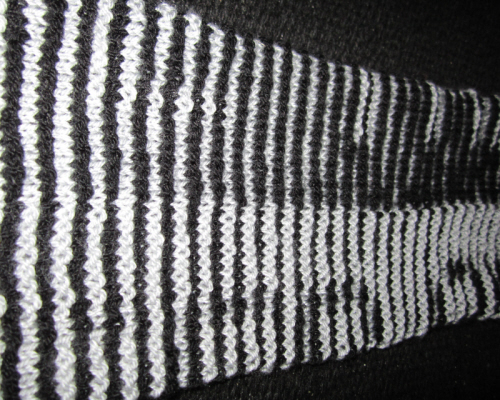 The single-sided scarf is worked flat.